The project is aimed at examination of migration patterns in Eastern European states bordering the EU ( Ukraine, Moldova, Belarus) in the perspective of expected emigration to the EU (with particular emphasis on emigration to V4) after possible visa abolition. It focuses on qualitative and quantitative estimation of migration stocks of Eastern European states to the EU and V4 in the forthcoming 10 years. Research of that kind has never been conducted with regard to Eastern Partnership states. The project is funded by Visegrad Fund. The project officially terminated! We would like to thank all our collaborators for their assistance, engagement and precious advice. Let’s hope we will conduct ex-post research in ten years counting that we were close to reality with our forecasts. Seminar at the Ministry of the Interior (Warsaw). Prof. Dusan Drbohlav presented the results of Delphi survey on migration trends in Eastern and Central Europe at the IMISCOE (International Migration, Integration and Social Cohesion) annual conference in Madrid. Second seminar presenting the final results of the project "Forecasting migration between the EU, V4 and Eastern Europe: impact of visa abolition” (Kyiv). Marta Jaroszewicz and Oleksandra Betliy published an article in Ukrainska Prawda ”Visa Abolition. Should the EU fear of inflow of Ukrainian migrants?”, (http://www.eurointegration.com.ua/articles/2014/06/25/7023689), (in Ukrainian). First seminar presenting the final results of the project "Forecasting migration between the EU, V4 and Eastern Europe: impact of visa abolition” (Prague). Publication of the "Forecasting migration between the EU, V4 and Eastern Europe. Impact of visa abolition" report". "Report: Forecasting immigration into the V4" - article in Visegrad Insight by Marta Jaroszewicz, Wadim Strielkowski (Article in PDF). At the beginning of December, expert on Moldova Kamil Całus conducted first study trip to Moldova (city of Chisinau). The aim of this trip was to conduct number of meetings with Moldovan migration experts of different backgrounds (government and administration, international organizations, NGOs and academic society), spread information on the Project and gather exiting data and literature on emigration from Moldova. The very idea of a project to assess the migration patterns of Moldova and estimate emigration flows from this country in case of visa liberalization was met with a great attention of virtually every interlocutor. Many experts expressed deep interest in further participation in the project, and offered far-reaching help in gathering essential migration data. Marta Jaroszewicz and Kamil Calus prepared an analysis on European Commission decision to recommend visa abolition for Moldovan citizens. OSW Project Coordinator Marta Jaroszewicz and Belarusian national expert Andrei Andrei Yeliseyeu visited Hrodna, where they discussed the issue of Belarusian emigration to the EU and the EU visa policy in the region. Interlocutors consisted of representatives of EU consulates in Hrodna, migration experts, journalists and representatives of labour migration facilitation companies. Speakers emphasized the growing number of Schengen visas issued in Western Belarus and mass character of short-term tourism of Belarusian to neighbouring Poland and Lithuania. Inhabitants of Western Belarus tend to emigrate to Russia. If the emigrate to the EU states they either move for long-term stay, often linked with their ethnic background either prefer circular migration and work in agriculture sector. In October 2013 Project’s team will commence a first round of Delhi survey on migration from Eastern Europe to V4/EU by 2025. In general around 140 high-qualified experts with different migration background from seven countries (Ukraine, Belarus, Moldova, Poland, Czech Republic, Hungary and Slovakia) will be asked to share their assessment of present and future migration flows from Eastern Europe to V4 and European Union. Two rounds of interviews are intended. The first round of questions is planned as semi-opened which allows for free exchange of expert opinions. The second one will be closed – experts will comment on synthetic feedback from the first round gathered by Delhi organizers. The whole survey process is based on “subjective opinions” which will become “objectivised via a common view”. Experts are asked to give their intuitive judgments built on their expertise. The aim of the research is not to directly forecast the future, but rather to provide “guesstimates” on patterns, trends and cause-effect relationships. In late September OSW Project Coordinator Marta Jaroszewicz and Ukrainian national expert Oleksandra Betliy conducted first study trip to Ukraine (cities of Lviv and Kyiv). The aim of the trip was to gather exiting data and literature on emigration from Ukraine in both regional and central dimensions, become familiar with Ukrainian wide array of specialists dealing with migration (including migrations experts, governmental officials, and representatives of international organizations) and spread out information on the Project. The idea to investigate links between migration dynamics and visa policy was met with a great attention. Many interlocutors expressed interest in participating in Project two-round expert interviews to be conducted in October-December 2013. In June 2013 the International Renaissance Foundation approved the financing of the project “Migration between Ukraine and the EU: impact assessment of visa abolition”, which is to be conducted by the Institute for Economic Research and Policy Consulting in Kyiv. This project will be conducted primarily as an element to the project “Forecasting migration between the EU, V4 and Eastern Europe: impact of visa abolition”, which is made by consortium of think-tanks with the support of International Visegrad Fund. 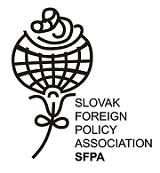 The Leading organisation of this consortium is Ośrodek Studiów Wschodnich (Warsaw, Poland). The project is aimed at assessment of the migration patterns in Ukraine, estimates of emigration flows from Ukraine in case of visa liberalization and contribution to the discussion on the migration issues in the country. The project results will be presented at the round table to be conducted in Kyiv in April 2014. The project will be run until May 2014. OSW Project’s Coordinator Marta Jaroszewicz shares with Visegrad Revue ideas on how give additional incentives to V4 cooperation with Eastern Partnership states on visas and mobility. Marta Jaroszewicz "Why Isn’t the V4 More Active in Visa Liberalisation With Eastern Europe?" Visa and mobility issues are the EU’s most tangible incentive for its Eastern neighbors. Yet the EU conditions the loosening of restrictions on free travel by in-depth reforms in the partner countries. This has to change and the V4 could play a stronger role in the process. The investigation of various, often contradictory and not comprehensive data, does not allow for a projection of migration flows between Eastern Europe and the EU. Meanwhile, an urgent question arises whether the possible EU decision to abolish visa for the Eastern European citizens will and to which extent influence both permanent and temporary migration to the EU countries. The other, more long-term query (and with particular significance for the Visegrad states who face the challenge of changing its migratory status to net immigration states) pertain to the relations between future migration and forecast economic and demographic variables in both receiving and sending states. 1) How will the migration dynamics between Eastern Europe and the EU possibly change in ten-years perspective? 2) What could be the role of Visegrad states in these migration movements? 3) Could EU decision to abolish visas increase Eastern European migration stocks and flows in the EU? 4)What could be the possible influence of EU labour markets opening on the size and directions of discussed migration stocks? 5) Does a direct long-term link between migration stocks and demographic variables (total population growth and age structure) as well economic variables (GDP per capita and unemployment rate) exist in an examined case? 6) What is the significance of political factors (eventual political-economic break down, possible armed conflict, progress in integration with Russia) for EU/V4-Eastern European migration flows? The project is expected to bring about innovatory forecasting research based on cross-cutting methodology with high practical usefulness. Over last twenty years Eastern Europe has witnessed unprecedented migration, mainly of economic character. The issue of Eastern European labour mobility has been highly politicized and unreliable estimations rooted for good, even in the expert community. Moreover, the assessment of migration risk constitutes the key element of visa liberalisation process with the EU. Thus Eastern European migration phenomenon requires new methodological approach based on clear linkage with demographic and economic variables that would also take into account already existing European knowledge (Visegrad states experience before they acceded the EU, EU-Western Balkans mobility cooperation) on links between mobility and visa abolishment and labour market opening. Expert and scientific community, governmental institutions (Ministries of Interior, Ministries of Foreign Affairs, Ministries of Labour and Social Policy, Border Police and others) in both V4 and EaP states; EU institutions, particularly the EC (in charge of visa liberalisation process under EaP). The EaP project partners could advantage from cooperation with most prominent V4 research institutions. Civil societies and governments of Ukraine, Moldova and Belarus who will obtain well designed instrument for future migration flows projection. V4 governments and societies could obtain unbiased assessment of risks and advantages arising from eventual visa and labour market liberalisation for the Eastern European citizens.